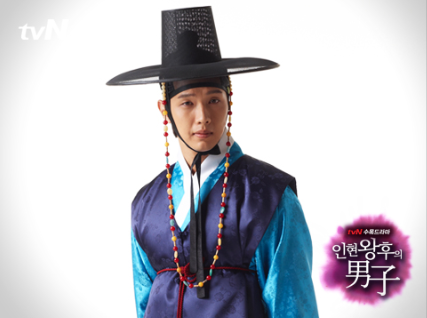 Ji Hyun Woo in A Thousand Kisses (the 50 episode-drama!) If you have a lot, as in a lot of time, it's a nice drama. Except that I'm not too fond of all the dramas within the storyline. It's stressful! In fact, in as much as I adore Ji Hyun Woo, the crying and the sadness and the hardship are all too much to bear, so much so that I craved more episodes of the second lead pair, Ryu Jin and Kim So Eun. I want a happy Ji Hyun Woo. I am Korean...and you're cute! LoL* Awww...see, so much crying! I want more cheery Ji Hyun Woo like Queen In Hyun's Man. I was actually starting to feel guilty because you ought to know how much I adore Lee Joon Gi (plus more LoL*), but I think a fangirl has to dream of happily ever after too, and Lee Joon Gi is a very pretty, pretty actor, definitely hard to reach even in my dreams! 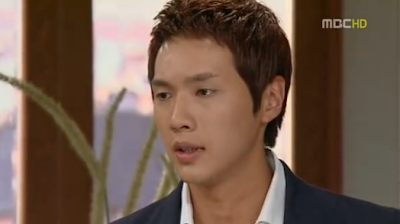 LoL* I think Ji Hyun Woo has a certain charm, without being too overpowering. So maybe, just maybe, LoL*...except, he's younger and yes, he's going to start his 2-year military service this August. Oh well, c'est la vie! Thankfully, Lee Joon Gi is soon to be back in Hanbok Style in the upcoming Arang and the Magistrate. Yay! 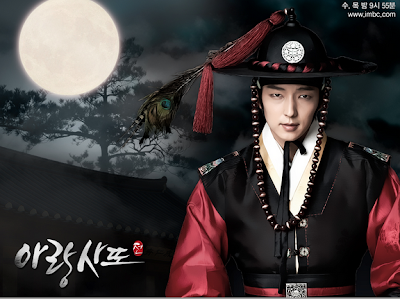 Lee Joon Gi is back! Excited for his big come back drama! Oh well, that's my ahjumma-ish noona-ish fangirl ravings. *LoL Korean Drama for the win! Here comes more sleepless nights! Photo Credits: Screen Caps from DramaCrazy.Net, Google Images, and official photos and posters of Arang and the Magistrate here.